Recently, The Ōnin Group added a new offering to our already best-in-class benefits package for our Teammates. We have enhanced our employee perks by including a telemedicine service. This on-demand health advantage allows Teammates to consult with a US licensed physician any time of day, 365 days a year. The contingent labor force works varying shifts which can prevent individuals from visiting doctors without missing time from the job. Our telemedicine benefit allows our Ōnin Teammates and their families to receive free, non-emergency care any time of day. No other staffing agency provides this to their labor workers. MyidealDoctor’s services include consultation, diagnosis and prescription services for common and acute, short-term illnesses. According to the Wellness Councils of America, 70% of all doctor’s office visits are unnecessary, and over a third of all minor medical conditions can be treated without a trip to the doctor at all. As an alternative to ER and urgent care visits, Teammates will save hours or days waiting to see a doctor and reduce the amount of time missed from work. Telemedicine is a recent development in the medical field and is being adopted quickly. While statistics show the participation for this type of service is very low, our partner, MyidealDoctor has a 60% annual utilization rate, significantly higher than the industry average. MiD provides virtual care which requires no long drives, waits or scheduled visits. Our Teammates and their families can utilize the service during their off time without missing work and impacting service levels for our clients. At Ōnin, we are actively combating the low utilization statistic. We have strategies in place to communicate this benefit to our Teammates. We are proactively introducing our program just before peak cold and flu season to increase participation to avoid reduced productivity due to common, cold-weather illnesses. We are targeting our workforce through promotional notifications in our Ōnin Teammates App throughout the cold and flu season. New hires are orientated about the program during onboarding. It doesn’t end there, our branch staff communicates this benefit during each Teammate interaction. Informational flyers are being handed out in our branches and by OnSite managers while on display in our offices, as well. Finally, we are promoting our new benefit through our social media channels and on our website. Our strategy will effectively increase utilization of this program and positively impact our clients. This added benefit comes at no cost to our customers. At The Ōnin Group, we are committed to providing the best-in-class service to our clients and Teammates. 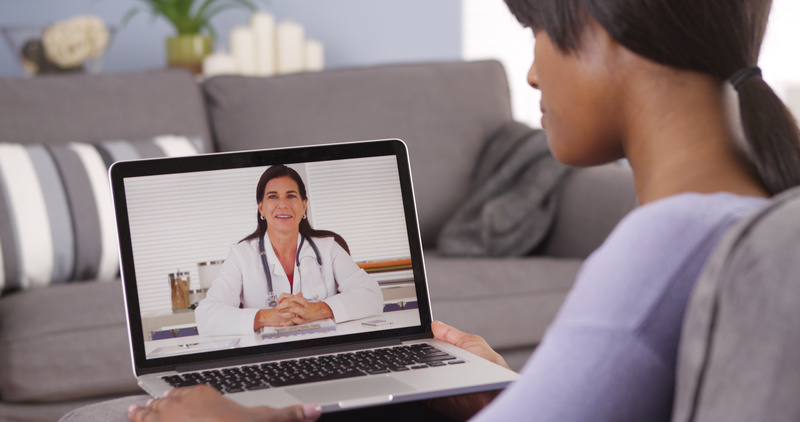 Telemedicine benefits improve employee health and increase productivity. Many times, low-to-moderate income wage earners will sacrifice health care due to additional costs they can not afford. Our program requires no copays, which encourages use by our contingent workers. This means our Teammates will be able to afford to speak with a doctor before an illness causes them to miss days of work and affect productivity. Laborers who cannot afford to miss work but still show up and infect others do not intend to create additional hardships for their employers. Our telemedicine benefit allows them to get the care they need without missing work or spreading common ailments to team members. According to the CDC, personal and family health issues cost US employers $1,685 per employee per year in productivity losses. That said, Ōnin’s telemedicine program benefits our clients by preventing the impact of reduced staff, lowered productivity and increased overtime costs. Further benefits of providing this free health care service include a reduction in turnover and an increase in employee retention. The Ōnin Group is the only staffing company providing such a service without cost to their contingent workforce. We are positioned to recruit and retain the best employees from our competitors. Partnering with MiD to enhance our healthcare provisions provides value to our clients, Teammates and communities.